Here's your chance to receive discount for your referrals! 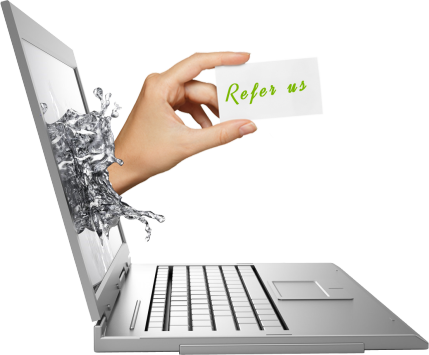 Join the Everest Online Marketing Referral Program! This program is free and open to clients, former clients and non-clients of Everest Online Marketing. We are inviting you to participate by referring any of your acquaintances. Our mission is to give back by giving incentives and reward for promoting our services. It is also our way to extend reach to those who promote additional market for our community of service providers. By referring, you stand to avail incredible discount on your service bill! Everest Online Marketing is an expanding company and we aim to grow together with our loyal clientele. One of the main reasons why many companies choose our services is because we provide them extensible and practical solutions. We specialize in producing web-based services like website design and management to customer care-related marketing. Once the referrals become actual clients, you can enjoy discounts and savings. All you have to do is refer our company and its staff leasing services to others. Once the referrals become actual clients, you can enjoy discounts and savings from Everest Online Marketing! If you are an existing client of Everest Online Marketing, you automatically become a member of the company's affiliate program. There is no need for you to file an application. Just contact us and advise for the activation of your affiliate ID. If you are a non-client or a former client of the company, you just have to register an account to become part of the program. As an affiliate of Everest Online Marketing, what do I do? All you have to do is endorse and promote the company as well as the services it offers. You can convince anyone you know to choose Everest Online Marketing to provide their web-based service needs. We will also provide you hyperlinks, widgets, banners, badges or site stripes that you can use to advertise our website. What do I get from being an Everest Online Marketing affiliate? The amount is not convertible to cash but as service credit to your account. Avail of our services and pay us from your credits earned. One time only, renewal of the same staff, project. If you are a former client of Everest Online Marketing or a non-client and you directed a new client to our company, you will get half of the amount listed above.